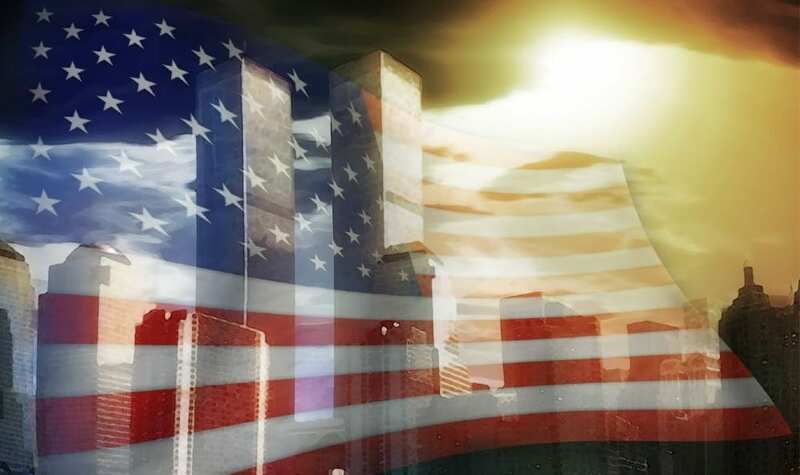 Editorial: Are we still remembering 9/11? | Cherokee Co N.C. Indeed, the entire nation, and even the world, poured out its heart for America and the major wound we were struck with. It is the kind of thing that people everywhere will remember. The kind of thing that I will tell my children about. It is indeed something one cannot easily forget. Today, we find anything we can to show how different we are from one another. We are a divided country. I don’t want to take a side and tell you that you are wrong, whatever you think. It is honestly probably why we have issues. We can’t disagree without getting angry. I sat among fellow students in a freshman orientation class in high school. It is scarred into the wall of my brain that our desks were placed in a circle and I had only one or two of my “friends” in the class. There was even a guy in that class that I really did not like. We did not get along and we did not like each other at all. My how quickly and easily that melted away in the glow of a tv screen as I, first hand, watched a second plane fly into the building. I feel its impact even today, and I was nowhere near New York. I couldn’t feel it at the time, but today I can remember my body shook when it hit, as if it hit me just as hard as it hit the building. I remember hearing the report about another one hitting the Pentagon. I remember not doing anything in any class except one, Algebra. I remember the rage that permeated every person in that school that day. Not just anger, a burning rage threatening to engulf your soul. A rage that broke chains and welled up from somewhere incredibly dark near the bottom of my stomach. It was more powerful because it sensed itself in every other person. Seventeen years, do you remember? Do you remember the songs written and speeches made? Do you remember being an American? Forget the conspiracies about it, forget the doubt about what really happened. Do you remember that specific moment of impact? It’s not a special anniversary, it’s not the ten or twenty year anniversary. This long since something and we as people tend to only really recall things on nice, round-numbered years. Are we remembering? Have we forgotten even though we said we wouldn’t? I don’t think so. I think seventeen years later, people still hurt. I know the people you don’t speak to on this day and the people who need you to speak on this day. I know the guy who plans a trip every September. I know he doesn’t actually go anywhere except into the woods to be alone. We don’t talk about his trips, I just understand his Dad was in New York that day on business. Isolated near a stream maybe, maybe he’s up a tree. I don’t know where he is, but inside I hear him screaming at the top of his lungs in his isolation. I know the woman who holds her son up like a banner for his service because she never had the chance to see him grow into anything else after he died fighting for us. I see counties and cities holding memorials on this day, but I see something else. I see the separation. I see the people forgetting something along the way. I can’t forget that pain. I can’t forget that day. I can’t forget that tv. I can’t forget the faces. I didn’t lose anyone close to me. I had friends who served, but I didn’t lose anyone so close as a brother, sister, father, mother, cousin. I have been so lucky, so why is this day forever seared into my soul? Maybe I’m being emotional? Maybe I’m thinking too much? Will you judge me for that? Will you think less if I can’t let go? Or would it be worse if I didn’t care? What if I didn’t write this and you never read it? You’d go about your day and maybe you would think about what today is or maybe it’d slip by as you try to finish that project just get through a tough day. What if we let this day fade into history as a footnote and we never look back to think about the feelings of that day, the pain, the rage, the hurt, the solace, the people?